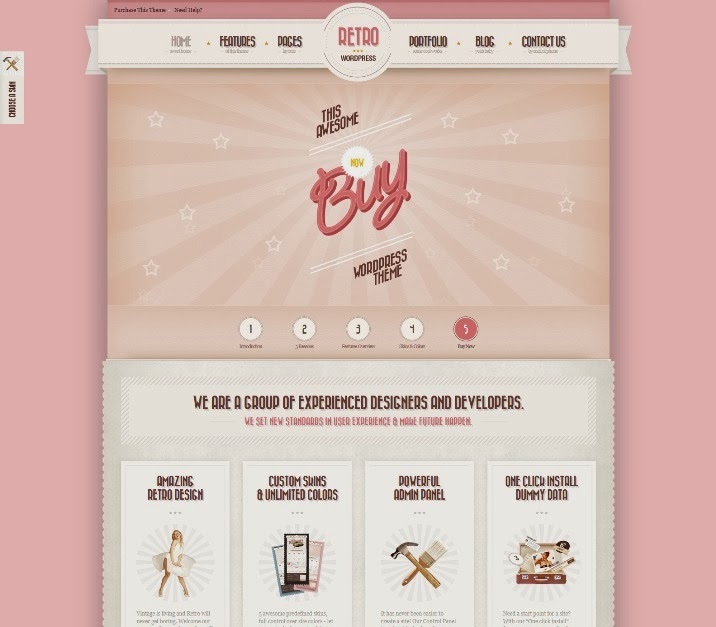 Best Collections of Retro WordPress Themes. 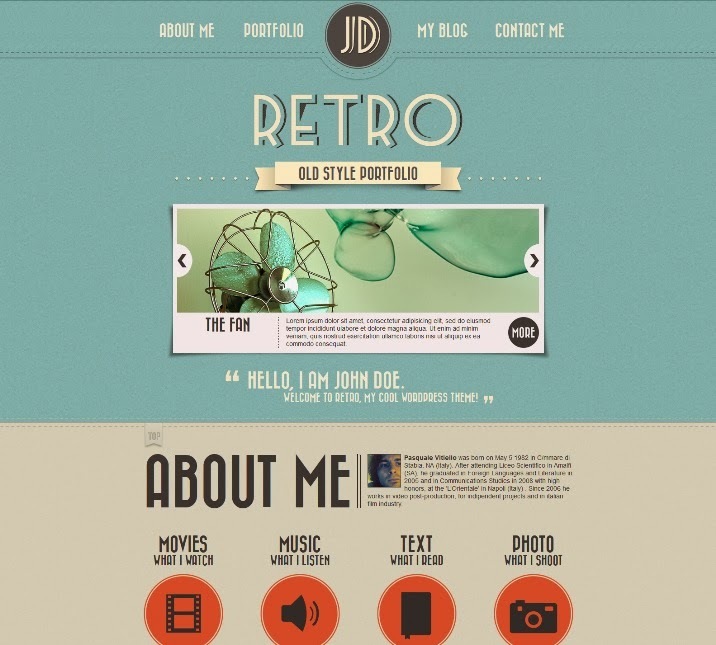 Retro Portfolio is a One Page Vintage WordPress Theme. Features are CSS3 features, Custom jQuery Features, Widget Ready, Easy and Powerful Panel Control Panel, Ajax Contact Form, Custom iconsets, Cross-Browser compatible, Sidebar Generator and more. 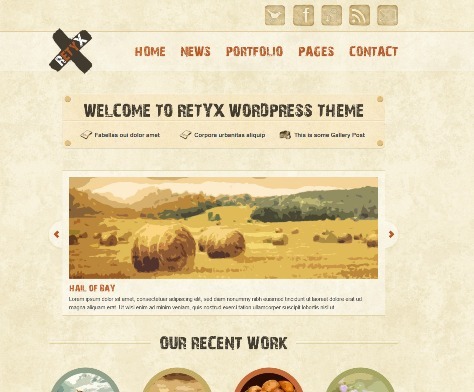 RetyX is a Blog and Portfolio WordPress Theme in retro and vintage design. It is suited for users who want to run a professional or personal blog and wants to showcase your products, services or news in a creative and unique manner. Features are Retro / Vintage unique Design, 5 custom Widgets, Google Web Fonts, CSS3 Features and Animations, 5 page Templates, Filterable portfolio items and more. 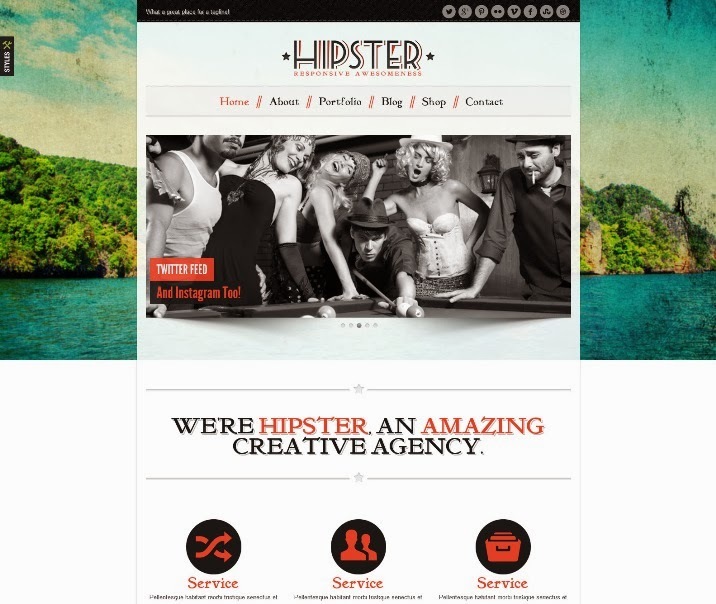 Hipster WordPress, the perfect responsive WordPress theme for any personal or business website. 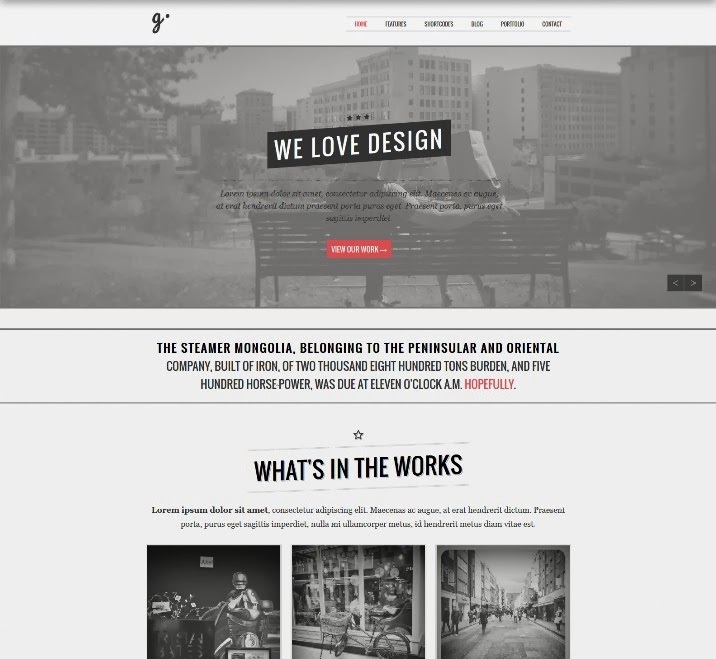 Hipster WordPress offers the amazing WOW Slider, Revolution Slider, Twitter Feed, Instagram Feed, Responsive FancyBox, Extensive Theme Options Panel, Staff and Portfolio Custom Post Types, Full Screen Rotating Background Images, a Custom Mobile Menu, Blog with Multiple Post Formats and more. 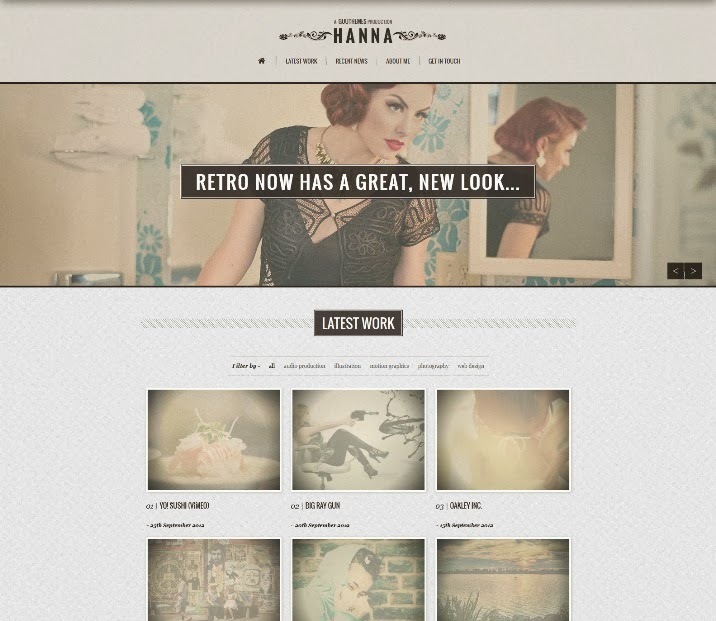 Hanna is a retro one-page WordPress theme. Perfect for the ‘Instagram’ generation. 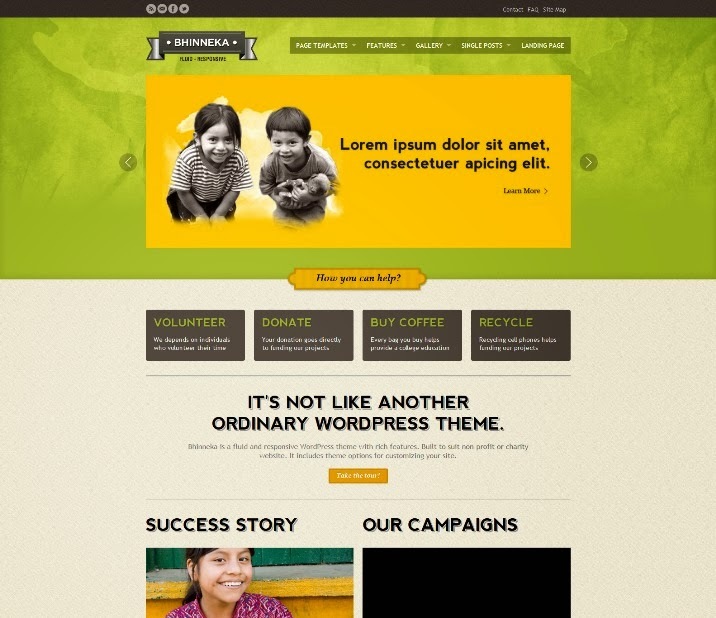 The template is fully responsive, built on HTML5, with the latest CSS3 features. Beautiful typography, gorgeous image effects, and a ‘Retro Minimal’ look, combine to bring you a luxurious template that will truly make you stand out from the crowd. Features are Fully Responsive HTML5/CSS3 theme, Unlimited Colors, Google Web Fonts, jQuery enhanced, FlexSlider, PSD files included and more. Reborn is the personification of a combination of two completely different styles. 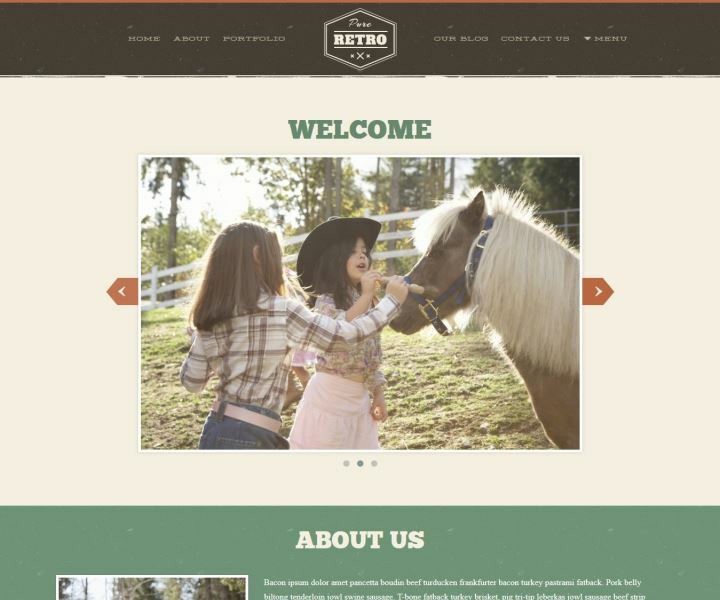 Make your site have a unique atmosphere both retro elements and modern. Features are Parallax Scrolling, 100% Responsive, Contact form with google map, Social icons, Animated page scrolling, Threaded Comments and more. 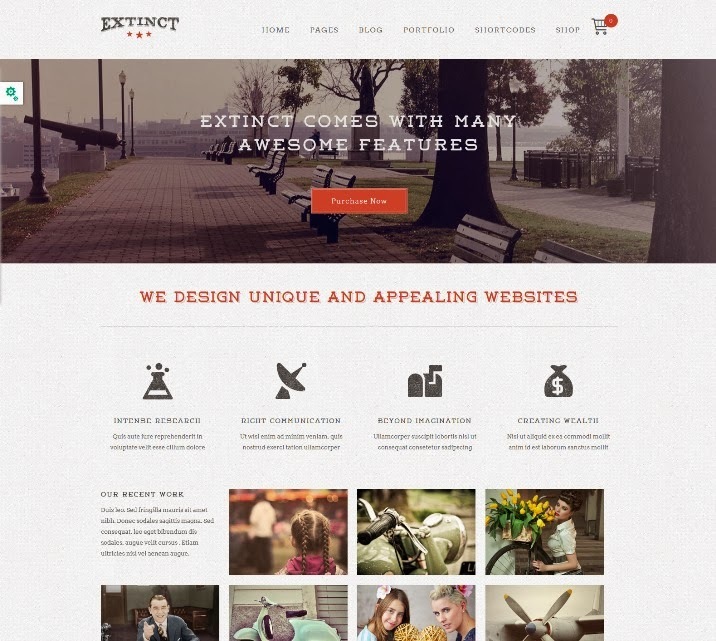 Extinct is a WordPress Portfolio theme delicately handcrafted to meet the needs of a creative agency or similar businesses. Extinct features an attractive and unique blog design and can be used to power blogs just as easily as portfolio or other content sites. Includes a number of shortcodes for embedding multi-column portfolio entries or blog summaries in any post/page. Additionally, there are advanced WP widgets included for listing recent blog posts, for featuring blog posts belonging to a specific category, listing popular blog posts etc. Acid is a Unique Horizontal Blog and Portfolio Theme. Features are One Page Design, Mini Parallax, Unlimited Color Options, Responsive design, Retina-ready social icons, Custom Logo Upload Options, Widgetized footer, Widgetized sidebar, Multiple Shortcodes, Built With HTML5 & CSS3, jQuery and Coffeescript and more. GOLDEN is a beautifully elegant, visually stunning, and multi-functional vintage inspired WordPress theme. Perfect to use, from freelancer to agency, and everything in between. The template is fully responsive, and looks amazing on your Smartphone, Tablet, and Desktop. Beautiful typography, minimal, but elegant vintage styling, subtle CSS3 effects and more. Nice examples of retro themes.